Turn Your Walk-In Closet Into The Boutique Of Your Dreams! 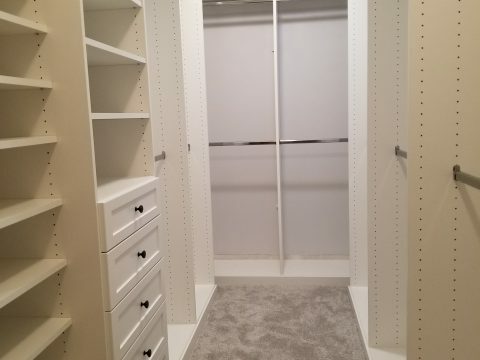 Everyone loves a walk-in closet. What’s not to like? It’s a giant space that stores all your favorite clothes, and hopefully, it provides you with plenty of room for all the things. In an ideal scenario, you can stand in the middle of your beautiful wardrobe, carefully inspecting every garment until you find the perfect outfit. But if if feels cramped and unorganized you should consider a change. 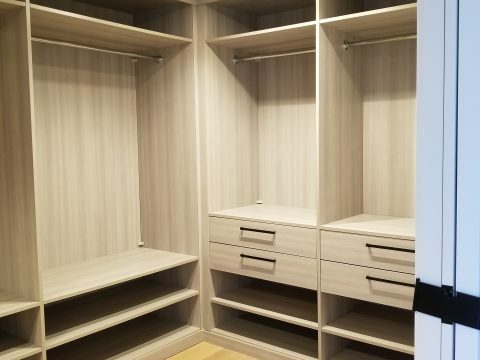 With the right design and planning, your custom walk-in closet can become more than just a space to store clothes. It can become a place to showcase your decor and even be a relaxing oasis. 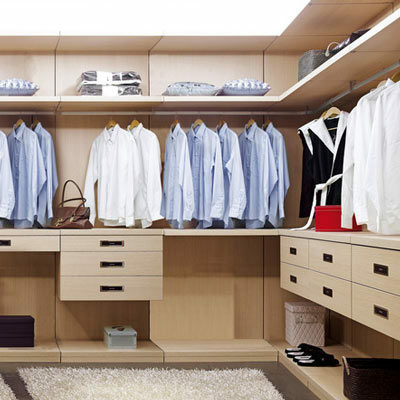 These tips can help turn that walk-in closet into a full-fledged boutique sure to wow your friends and give you the peace, and quiet you deserve. Just like location is the most important thing in real estate, lighting is the key to creating a boutique people want to spend time in. 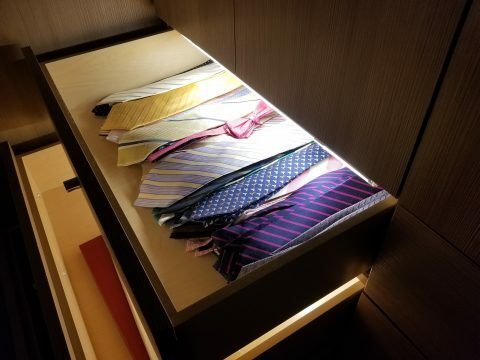 Make your boutique closet warm and inviting with a variety of lighting options including recessed lighting and puck lighting. These small and simple options will do wonders. One of the biggest mistakes people make is that they focus all their lighting ideas and implementation at the ceiling. Grab some cheap and easy to install LED strips and line them alongside things you want to draw people’s eyes to. Or, if you want to get REALLY fancy, go for statement lighting. It’s right in the name: lighting that makes a statement. Ask your closet contractor about your options as they come in a wide variety of forms such as pendant lights or a chandelier. Use your imagination and create a statement that lasts. Storage isn’t (and shouldn’t be!) limited to walls. Break up the flow of a room a bit with an eye-catching center island. Placing a nice marble drawer not only creates more spaces with drawers to store clothes and jewelry but provides tabletop space for packing suitcases and bags. Or maybe you want to put some flowers up there. No matter what you decide, a center island creates visual variety while giving you some practical storage options for your belongings. Your new boutique isn’t just an art exhibit to show off to your friends and family; It’s a place to put together the perfect outfit. Sometimes that means having to sit down. Find a space for some seating options, whether it be a fine chair, ottoman, or bench. Try on those new shoes without having to bend all the way down, or maybe take a load off after a long day. It’s Friday night. Go time. You want to look your best. That means it’s vanity time. A beautiful vanity not only gives you the lighting you need to put on the perfect makeup, but it also adds a sense of elegance and style to your boutique. The extra drawers also add much-needed storage space, meaning your makeup won’t clutter up all your space. You spent a lot of money to look good, and you want to protect your clothes, so they keep you looking sharp for years to come. Say hello to valet bars. After giving your clothes the treatment they deserve at the dry cleaner, hang them up nice and neat on your pullout valet bar. Not only do they protect your freshly cleaned clothes, but they also help you prepare outfits for the next day. This small yet incredibly functional addition to your boutique will make all the difference. There are a lot more options out there to make that walk-in closet into the boutique of your dreams. Find a designer who jives with your vision, and get to it. You deserve it.